Pack 2 – Traveller Culture. Traveller Legal Resource. Irish Traveller Movement. 2006 [3 March 2010]. （原始内容存档于2008年5月28日）. A Racial Equality Strategy for Northern Ireland 2005–2010 (PDF). Office of the First Minister and Deputy First Minister. 2005 [3 March 2010]. ^ The World Factbook. Central Intelligence Agency (USA). 27 November 2009 [2010-01-01]. ^ Nolan, William. 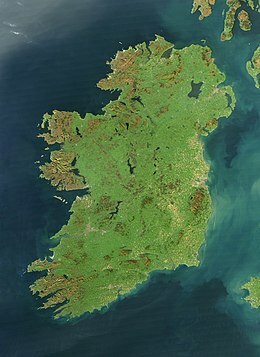 Geography of Ireland. Government of Ireland. [11 November 2009]. （原始内容存档于2009年11月24日）.